I'm going to say it right up front: I don't like spiders. They got too many eyes, too many legs, and I don't trust them. Spiders will attack you in all kinds of ways. They'll crawl up in your ears at night when you try to sleep. They'll hide in your shoes. And, I can't prove this, but I think they'll mess with your toothbrush when you're not home. You just can't trust a spider. That's right. Not only can you be driving down the road and a spider crawl out and jump on you, but the spider could cause your airbag to pop you in the face at 55 MPH. There's no good outcome that. Spiders are bad, and are now using technology against us. They need to check and see if the problems with the Obamacare Website are that there are spiders in it. They also need to check the heads of the people that came up with Obamacare. I bet they've got spiders in there, too. "They’ll crawl up in your ears at night when you try to sleep." 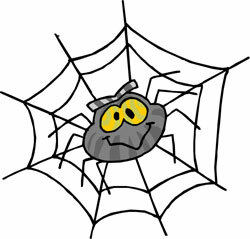 What spiders really like is crawling into your bed and waiting for you to join them with your body heat. Then, like a good Democrat, they snack on you during the night. It's the equivalent of Federal housing and food stamps all in one. So where should we put this airbag control module thing? I don't know, somewhere underneath the car where it won't be in the way. It's not real important like the carburetor and all that stuff. But what if it gets wet? It's got wires, I don't think wire things are supposed to get wet. How's it going to get wet? It's got the whole car on top of it to protect it from getting wet, the water falls from the sky, duh.